How to Read PDF on PocketBook Reader? PocketBook is a popular brand of eBook readers. It is a long-standing leader as comes to the amount of supported text formats. Book Formats: CHM, DJVU, DOC, DOCX, EPUB, FB2, FB2.ZIP, HTML, PDF, PRC (Mobipocket), RTF, TCR, TXT. To choose between those you have to select a PDF file and hold the centerbutton for 3 seconds. There will popup a context menu here you have to choose "Open with" and select one Viewer. The difference between AdobeViewer and PDFViewer consists on the zoomfactor. AdobeViewer displays the font greater than the PDFViewer in normal zoommodus. The PocketBook Reader can support several kinds of ebook formats and the best eBook format for PocketBook Reader is the EPUB format. So if you want to read PDF on PocketBook Reader, you'd better convert PDF to EPUB for more enjoyable experience. PDFMate Free PDF Converter is just such a perfect application for converting PDF to EPUB or other file formats for PocketBook. 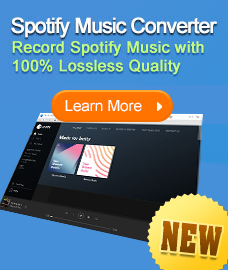 This Free PDF Converter is easy to use with a simple and clear interface. It supports batch conversion; and doesn't need Adobe Acrobat Reader to be installed. Preparation: Download Free PDF Converter, install and run it. View Screenshot image. After adding the PDF files to Free PDF Converter, you can see the PDF you added are listed in order and the information of the PDF filename, size, total page would be displayed clearly. Step 2: Choose Output Format as EPUB, TXT, etc. On the output format pane, choose the "EPUB "format for converting PDF to EPUB eBooks. Click the button "Convert" and you can convert your PDF to EPUB eBooks or TXT documents within seconds. 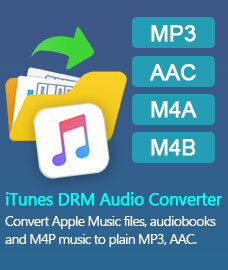 Note: PDF Converter Freeware also support batch conversion. If you want to convert a list of PDF files to EPUB or TXT at one time, please choose the whole list before you start the conversion. When conversion is finished, you can click "Open" button to check the destination folder and view the converted files. Tips: PDFMate Free PDF Converter not only converts PDF to EPUB eBooks and TXT documante, it also convert PDF to common image files, HTML files, etc. You can download the free program right now and make your PDF files your own editable files.